It is simply a great feeling when your first salary gets credited into your bank account. Getting financially independent is certainly an achievement, but at the same time, it comes with equal responsibilities. Knowing one’s urge to spend and more so these days over digital means, banks start approaching you for credit cards and you also start getting excited and apply for a couple of most rewarding credit cards. But alas! the credit card application gets rejected. The Reason, you don’t have any credit score – i.e. no history found in credit bureau. However, you shouldn’t worry, as building a credit history is not a tough thing to do. The best thing you can do is to just start off with applying for a credit card with the banks you are holding a Savings Account already or where you open your Salary account. You can also apply for one of the basic cards, to begin with rather than going for the most premium card the bank has to offer. Specially designed credit cards are now being offered by banks to those who have just joined the workforce. If you are employed in the public sector or with reputed private companies, you may be eligible for a credit card based on your salary slip. If you are not getting a credit card even from the bank where you have salary account, you can apply for a secured credit card against a fixed deposit – you can begin with as low as Rs. 20,000. Another way of building your credit score could be exploring the exciting zero-cost EMI offers offered by financiers for mobile, bike or laptop. These also require a credit score for approval, however, many of the lenders approve loans for people with no credit score. Use your Credit Card, though control your spends: Just getting the credit card will not get you good credit score. Try spending only up to 40% of your credit limit to keep the balance low it will help you repay the full amount on the due date. Repay your card dues and EMIs in time: A consistent regular repayment on your card dues and EMIs will definitely help you with a good score. If you took an education loan, repaying when EMI’s become due also helps you build a credit score. If you become delinquent and default on your education loans, your credit score will be negatively impacted because the lender will report that you are not in compliance with the terms of your loans. Limit Your Applications for New Card or Loan: Too many credit inquiries on your profile by banks whether they be for a credit card or a loan also can also bring down your score, so make sure you’re only applying for credit only when it really is necessary. Select a credit card and a bank after doing research rather than blindly applying for credit with many banks. 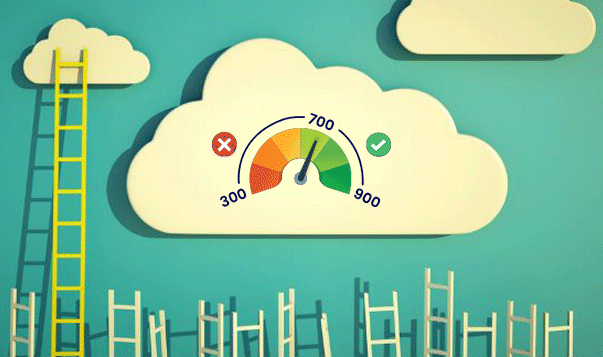 Checking your Credit Score regularly: Don’t lose the good credit score you’ve worked for! Just like a car that fails to work if not maintained, credit history too can fail to work if it is not maintained. Tracking your credit score every quarter helps you stay on top of your own credit report and thus, maintain a good credit score. Now that you have mastered the art of building and maintaining a good credit score, pat yourself on the back and start dreaming for the better things in life, right from the newly launched bike to the latest I-Phone to a swankier car and a beautiful house, you can have it all…!! Next Next post: 5 Financial Lessons To Learn From Ramayana, This Dussehra!